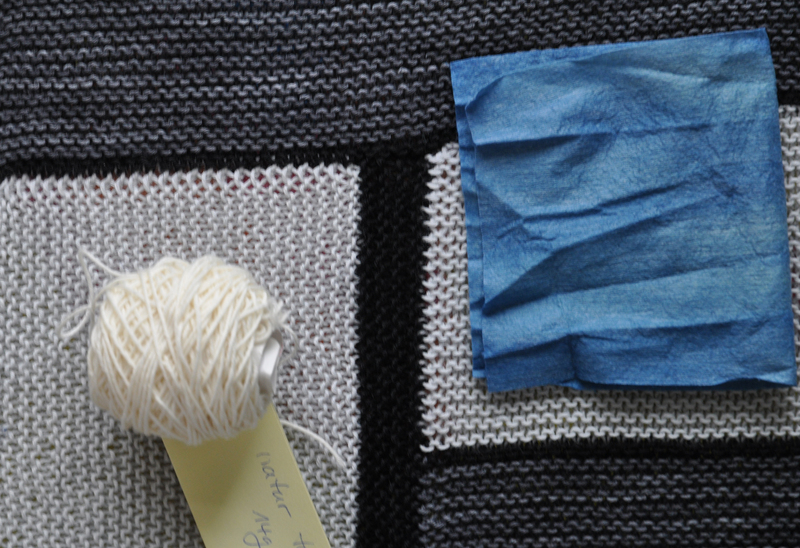 Some knitting for a change. The patten is called 'Shades of Truth' by Laura Aylor. 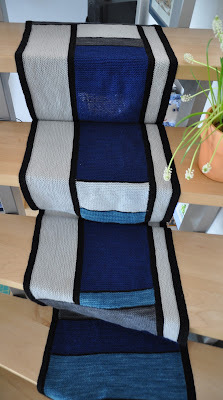 I used Wollmeise Twin in the colors black, nature, 47Ag, Blaue Tinte and Wolke. It's not super terrible, but at the moment it does annoy me. I'm thinking about riping, but am not there yet. Basically, I still like the shawl, but it does does look kinda ... dirty, not clean, at the moment. Important lesson - pre-wash darker shades of hand dyed yarn before knitting. Repeatedly. Especially when mixing it with white. 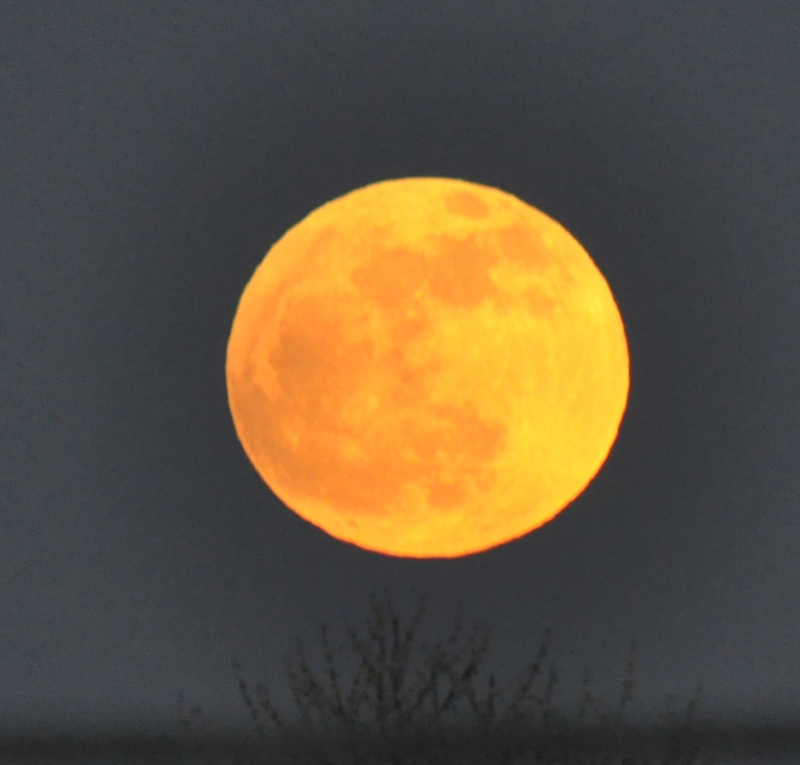 But there was still another show in the starting blocks - a partial eclipse of the moon. I admit, as lunar eclipses go it wasn't super impressive - the moon was only for about 2% of it's surface in the Earth's umbra - but as the weather was so nice, I still took a couple of pictures. The series below was taken between 21:12 and 22:53, one shot roughly every 10 minutes. I used fixed apperture (5.6) and exposure length (1/800) for all pictures. I plugged the pictures into Photoshop and enventually managed to create this composite. You can just about see the umbra scraping along the upper edge of the moon. By the way, did you know that the fact that the Earth's shadow shows up as a circle on the moon (when you have a bit larger coverage of course), was, among other things they observed, proof already for Plato and Aristoteles that the Earth was a sphere. 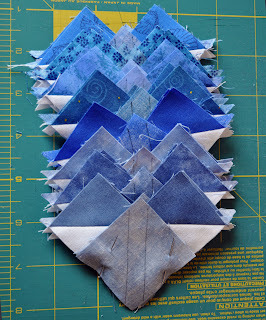 Some time ago I gave you a sneak peek of a quilting project I was working on at that time. Now that the intentend recipient finally received the finished quilt, I can show you what I was doing. 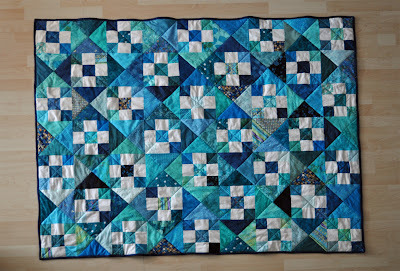 It's a scappy nine-patch / hourglass quilt in blues and aqua. The pattern was in a magazine but I would need to search, which one it actually has been. 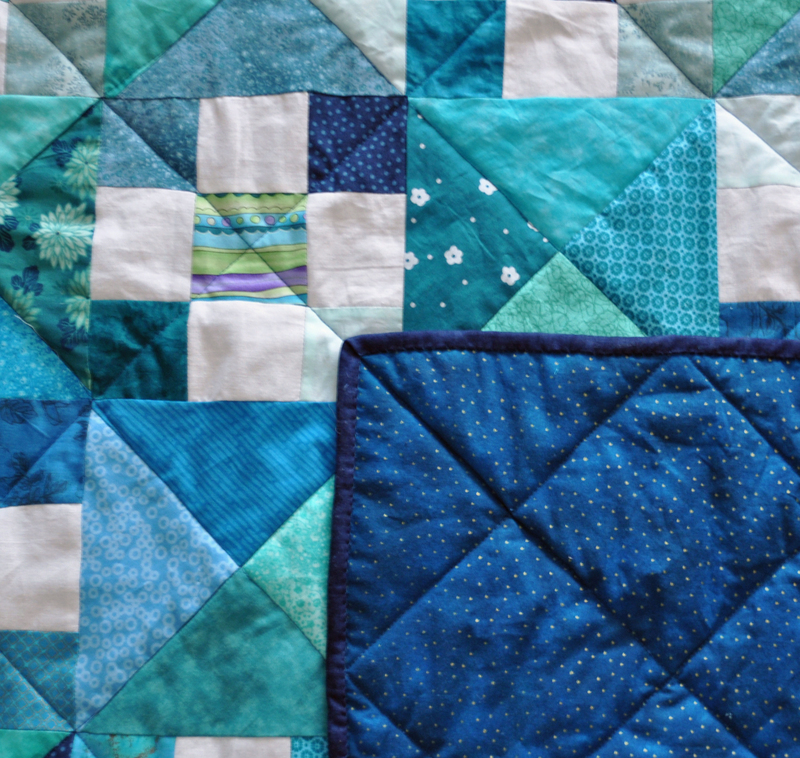 The quilting itself was simple straight lines in the diagonal, so nothing fancy, but the pattern didn't need anything fancy and I'm very happy with the outcome. When I make the stars for the 'Oh My Stars!' quilt, I usually make them in groups. One 3 1/4" stripe of the white fabric makes for 8 of the small stars, with a 5 1/4" stripe I'm getting enough for 6 middle sized stars and a 7 1/4" wide stripe is good for at least 3 large stars. So, instead of making one star at the time, I'm making 8, 6 or 3 stars in one go. I mark the smaller of the blue fabrics on the back side and pin them to the larger of the white squares. After sewing along the marked lines, I cut between the two seams. 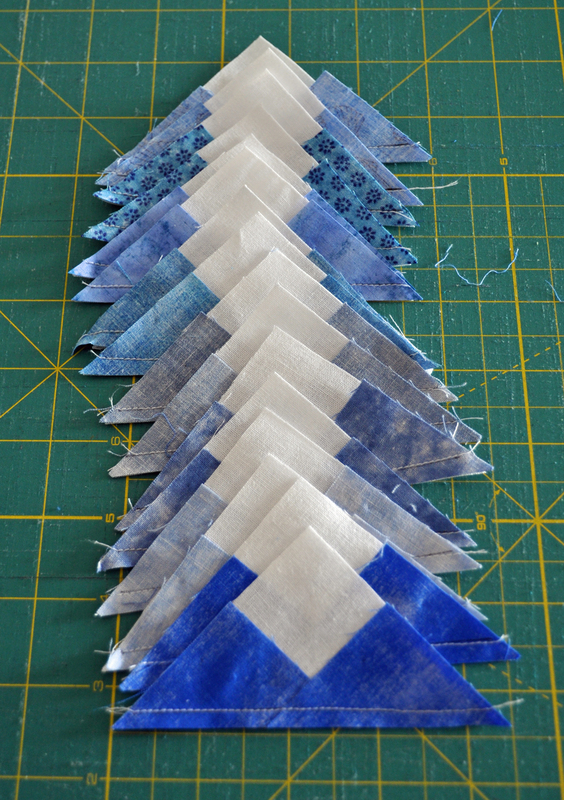 I now have 16 triangles. 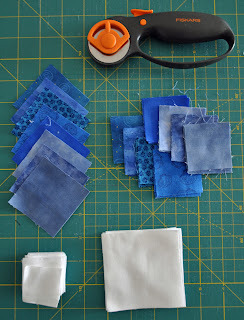 I iron them open and attach the remaining blue squares. 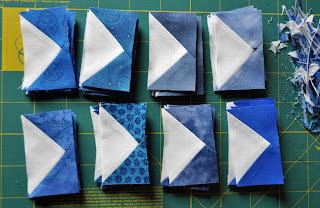 After sewing those, I cut again between the seems, iron them flat and trim them to the correct size (1 1/2" to 2 1/2" in case of the small stars). 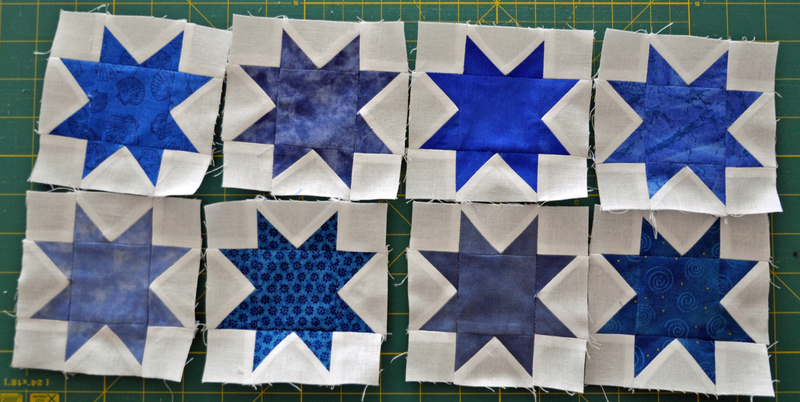 In the end all that remains is to sew on the smaller white squares for the corners and the other pieces to the center part and, voilá, 8 stars are done. Okay, there's a new quilting / patchwork project in the works. 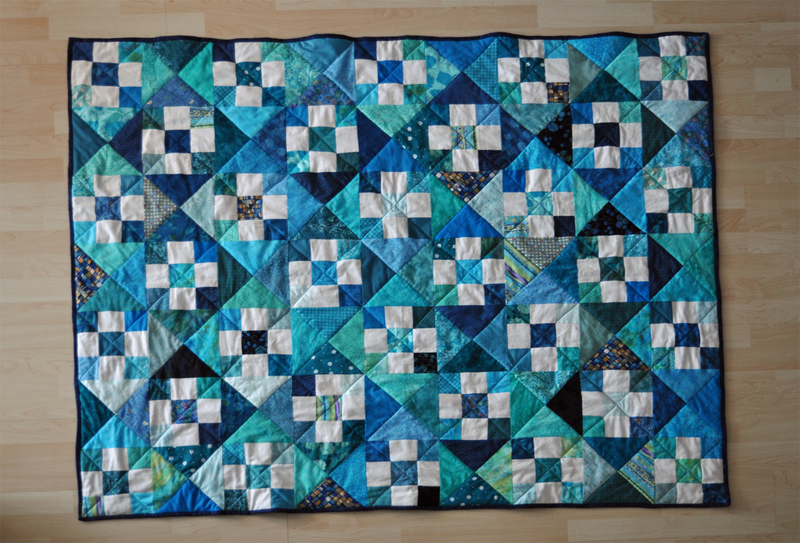 Officially this is a quilt along, but I'm not going to be too obsessed about that. 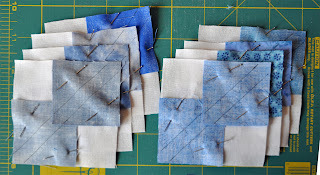 Anyway, it 'started' in November 2011, so I'm probably way out of the time frame given for the quilt along. 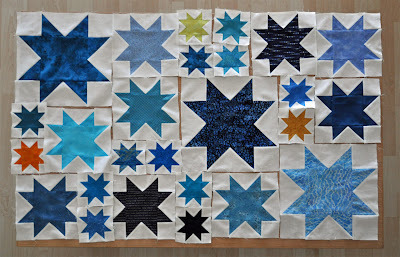 I found the project while I was browsing for quilts with star patterns and came across one that simply blew me away. 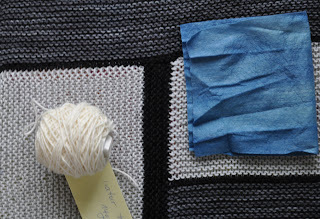 I searched for the pattern and was overjoyed that it's a freebie - who doesn't love a freebie? 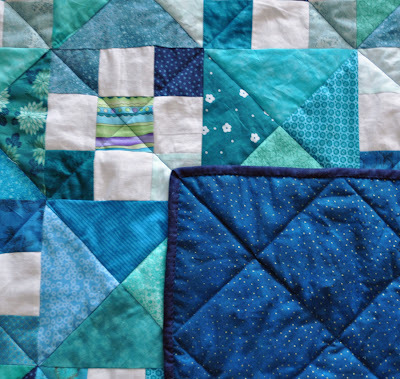 Now, of course, I can't find the original quilt, but hey, that's life. 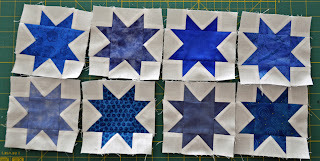 Anyway, I've started with the stars. At the moment I'm planing on doing only the simple basic star pattern and so far I like what I got, but I might change my mind sometime in the future. 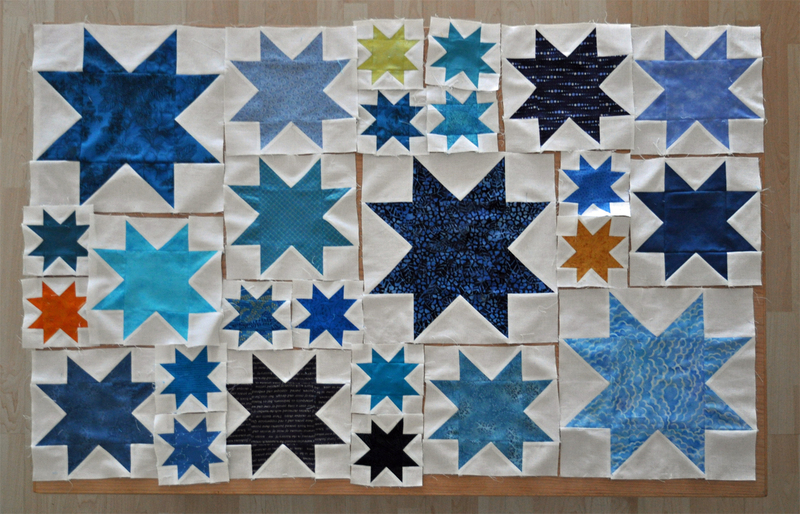 Of the 111 stars needed for the smaller of the two quilts (which is what I'm aiming for right now) I've got 28 put together (of which 26 just fit on my table). 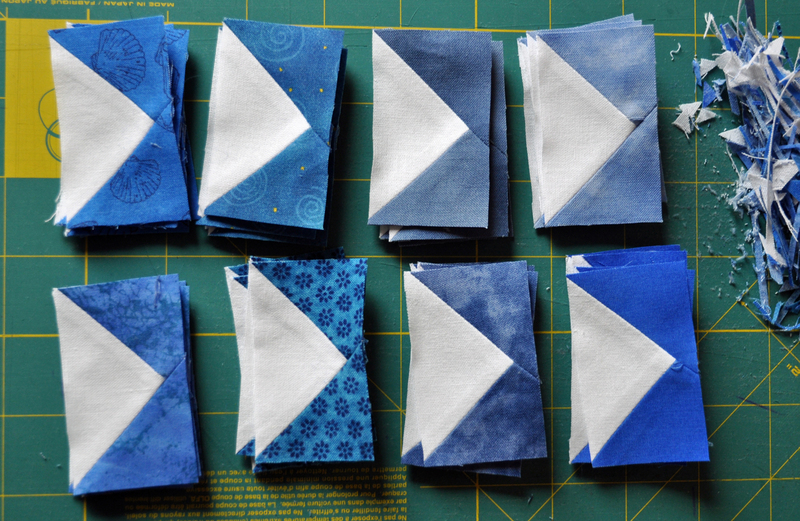 Main color - obviously - is blue, but I'll throw in a couple of yellow/orange stars in to lighten the whole thing up a bit.